"K.d.F. Fahrt i.d. Allgauer Alpen"
"Urlauberfahrten zur-Nordsee. 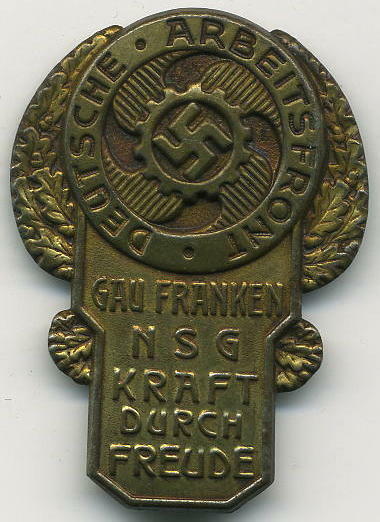 N.S.G. Kraft durch Freude. 1934"
Robert, you beat me to the punch again, and exactly the same ones I was after. "Monte Olivia. 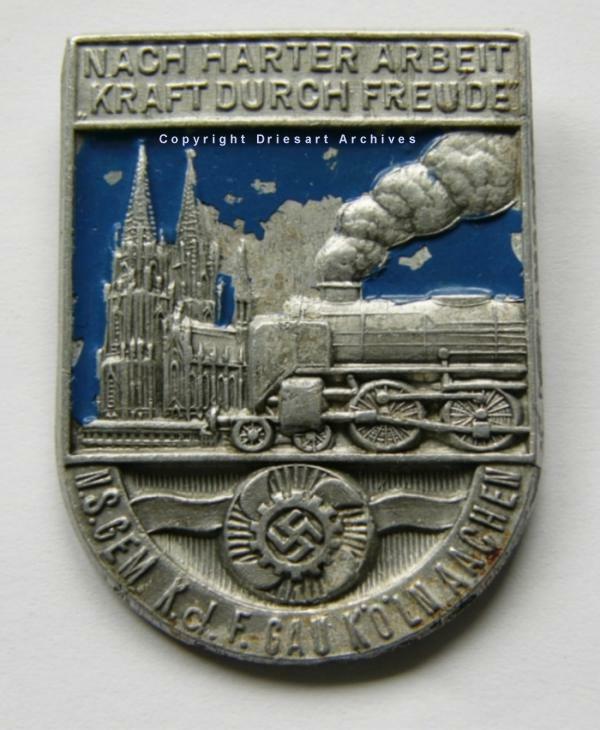 Seereise Kraft durch Freude"
"NSG Kdf Bayern Nordsee Fahrt 1934"
"Harzfahrt 1934. N.S.G. Kraft d. Freude Gau Weser Ems"
No update on that tinnie collection Robert? 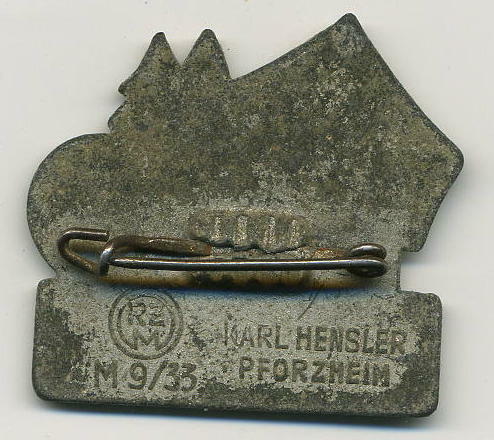 "KDF Gau Hamburg Hummel Hummell"
Two weeks is wat too long for this thread to be idle. Pat, that one hasn't been shown yet. It is a nice example. 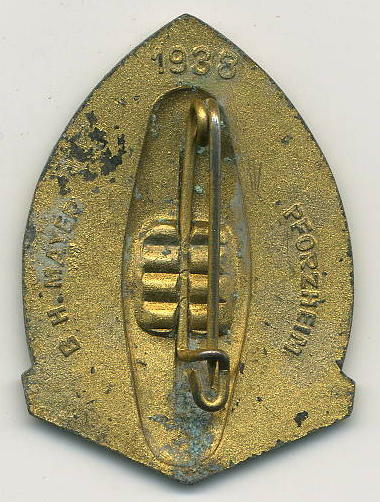 here is a zincker to show. 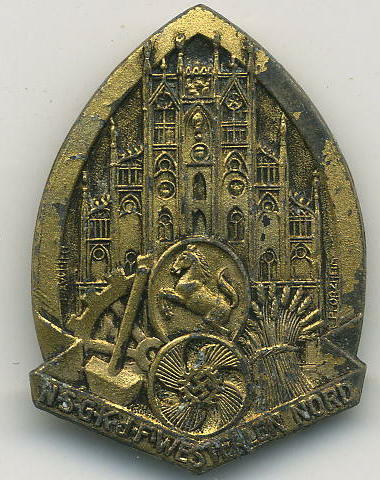 NSg KdF Westfalen Nord. 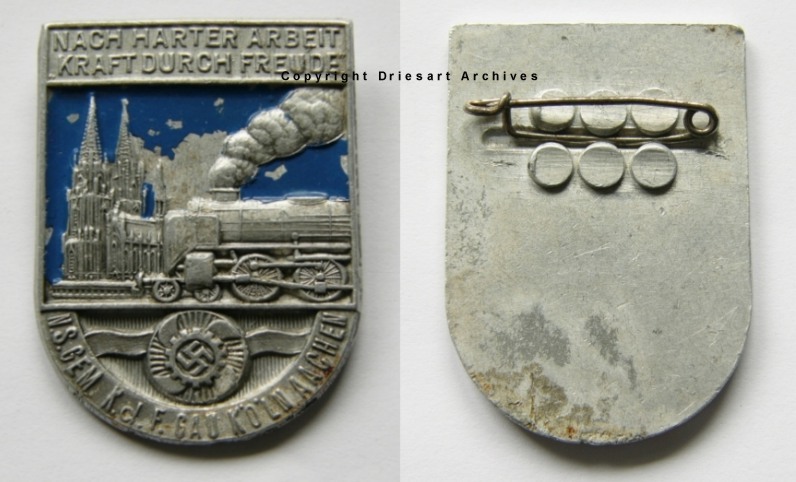 Nicely marked both front and back B. H. Mayer Pforzheim. Hard to see in scan but marked frontally as well. Hi Robert, I post your tinnie with the city hall here .There are different tinnies with this city hall on it, but I have never seen your nice tinnie before . I found these nice links?.. Tinnie of Burgerhaus for showing the city hall in M?nster, Westphalen- Nord. That part of M?nster is a pedestrian zone, where only delivery vehicles and emergency services are allowed to drive. I don't think M?nster is any cleaner or more or less littered than other parts of Germany, except for the poorer parts of some large towns. 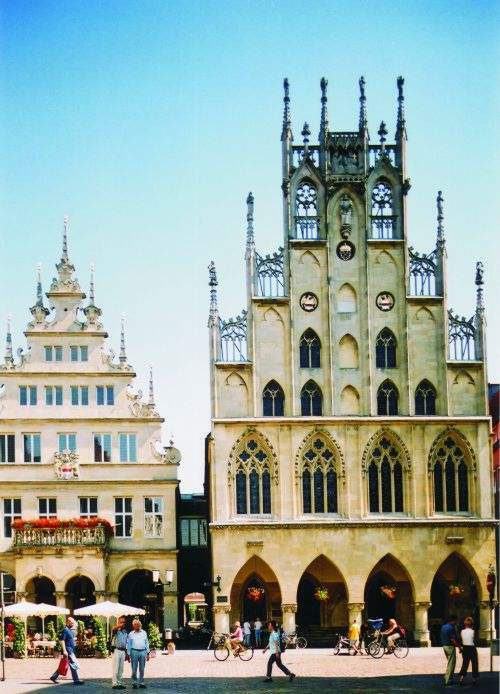 The city hall is a listed historical monument. It was largely destroyed during WW2, but rebuilt with much original material to the old plans. Today, it is a major tourist attraction and is also used for cultural and representative events. 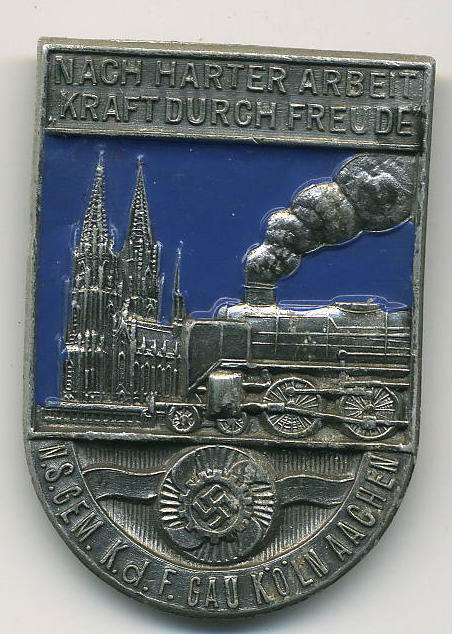 Tinnie KdF Gau K?ln Aachen. Text above ; Nach harter Arbeit , Kraft durch Freude. After hard labour, Strength through Joy. I ?ve red in the book about the KdF of Baranovski ( Robert !) 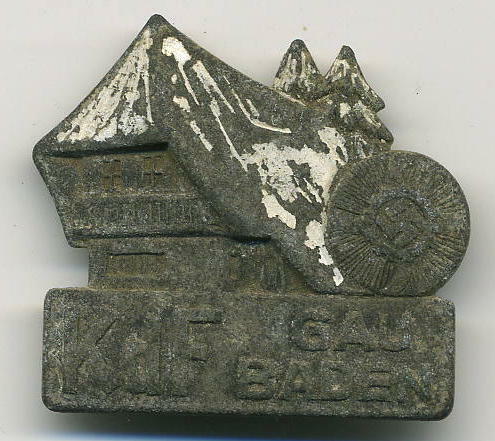 that these badges were given/sold when you took a tour with this local KdF . I think the wavy line through the KdF- emblem below signifies the river Rine. The crisp blue paint has come off for a part , many of these tinnies have this. 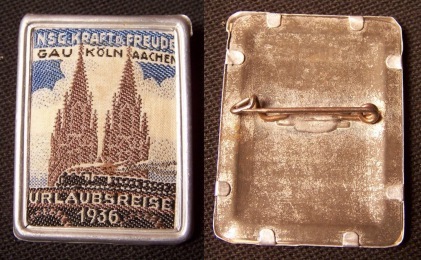 [attachmentid=61886]I retract my statement about the Munchen tinnie lacking a Haken Kreuz. I just looked and it has one. Would anyone else have an RZM marked tinnie w/o Haken? Anyway, one more KdF for the road. 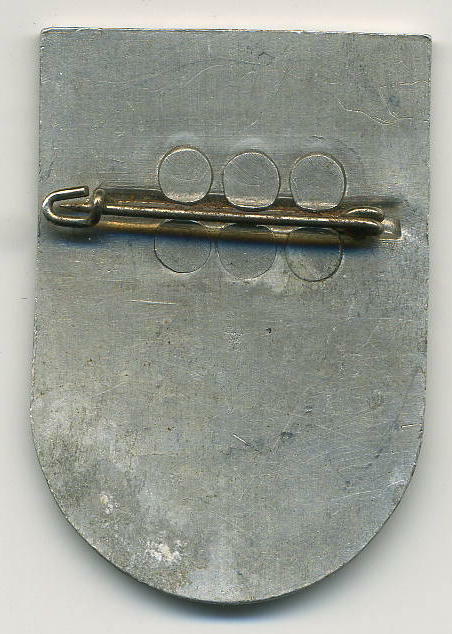 [attachmentid=62004]The reverse is unmarked. Here's to hoping yours is as well. Robert, your KdF tinnie is in very good shape ; it has a nice patina and all the paint is there!! You wil not find a better one. I like the technical detailed front of the locomotive, shown in the low frog perspective. 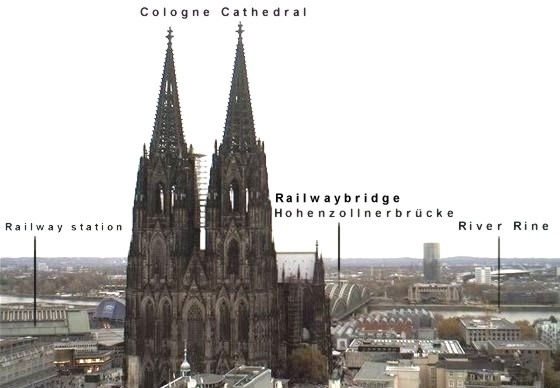 Here a picture of the envirment of our KdF tinnie ; The Cologne Cathedral , the river Rine and the railway station. One for you Robert, I don't think this one has been posted before.